Picture this: You meet a potential renter or you strike up a conversation with someone who could possibly be interested in your business. Then they ask for your information, so you decide to give them your business card… Oh, wait,you don’t have a business card. So what now? You quickly look for some scrap paper and jot down your number, which they will most likely toss out with their pocket lint at the end of the day. 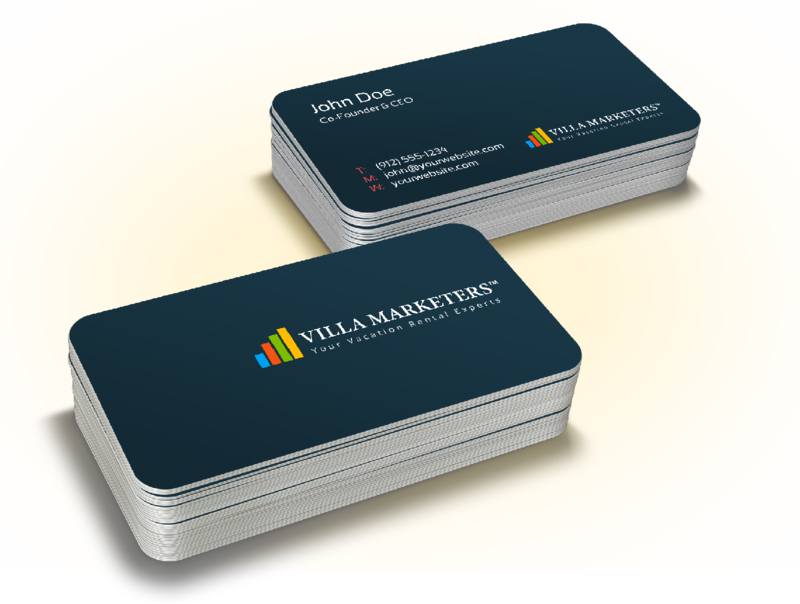 Stand out in the crowd and do some classic marketing with custom vacation rental business cards! Our team will put together eye popping designs that will be sure to leave an impression on your clients. You can provide photos or our resident expert photographer can step in to capture the essence of your vacation rental property. A picture is worth more than a thousand words, but the right picture is worth thousands of dollars! Maximize your profits today! But don’t stop at a business card. Have our team design a brochure just for you! A stunning brochure or e-flyer can give potential guests a glimpse into your vacation home with a brilliant design showcasing some of the best aspects of your rental. Give them all the information they need up front: location, how many people you can accommodate, amenities, rates, reviews, and more. Give them something they can take with them wherever they go. If you keep your vacation rental in front of them — whether by web, print, or e-flyer — chances are, they’ll book with you!